During the summer of 2011 I spent six weeks in Vancouver, BC interning with the graphics team for Lush Cosmetics. My main project was to create imagery for their upcoming skincare campaign. The goal was to illustrate all of the wonderful ingredients that are used to make their products. 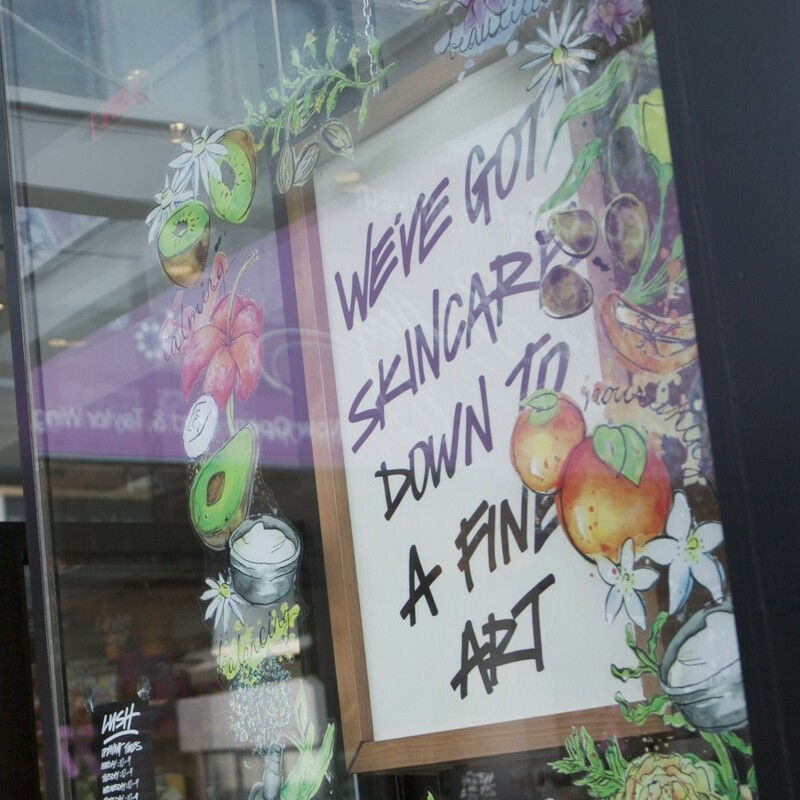 These paintings were featured in every Lush location in North America from September 26th through October 16th, 2011. They have also been featured in several editions of Lush Cosmetics’ catalog, the Lush Times. The final design was featured in light-boxes in many stores. Others had clear window decals of the paintings, with a light-box with the text behind it.